Co-worker Kevin was kind enough to lend me The Last Guardian. He hadn’t even opened it yet, so I asked he open it before officially lending it to me. I thought it would be wrong if I opened someone else’s game. Overall I did enjoy the game very much, but it did have some fairly big flaws. The controls are very tough and the game just throws you out there. While I would eventually enjoy both of those as I progressed, it was tough in the early going and I’d suspect most would bail out of the good stuff as a result. There was one part where I knew exactly what to do, but it took around 45 minutes just to get him to dive where we needed to go. 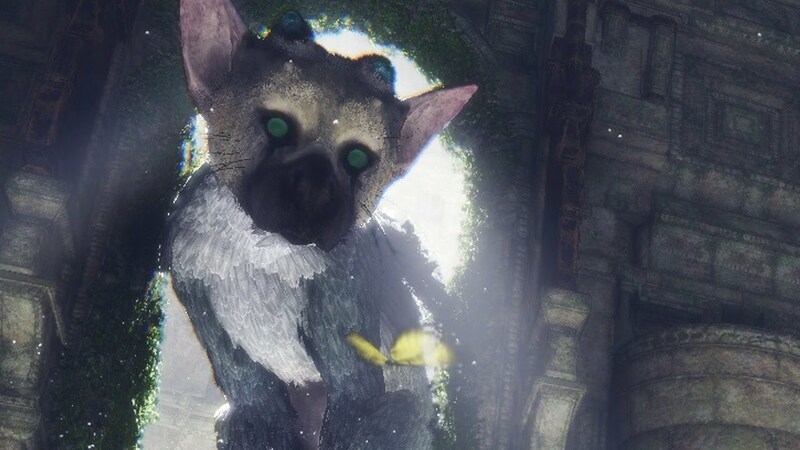 Your pet pal Trico is awesome. Each movement, sound and reaction give this massive dog bird such a realistic and warm experience. The more you play the more attached you get to the big guy. It’s really amazingly well done. As the game progressed I really got into it. Solving the puzzles with the help of Trico was very rewarding.The tale was very well done and the story was expertly crafted. You really start to care about Trico a great deal, and the ending is pretty rough to to through. It’s amazing sad and happy at the same time. While I’m not sure this game is for all, if you do play it though I think you’d be very pleased. One of the better and more unique games I’ve played in a while.